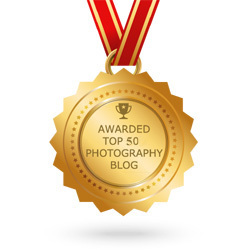 If you’re a woman in the photography business, you’ve probably heard of Aide de Camp by now. Yeah, it’s the company that has literally took camera bag out of the box (the clumsy black box), and proved that practical can be stylish. 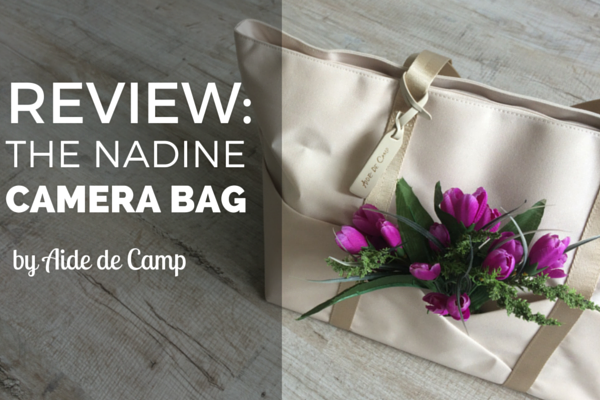 In this post I’m sharing my hands-on review of Aide de Camp’s new offering, the elegant Nadine Camera Bag. The tote bag is designed for travelling and fits a lot of purposes both a working photographer or travelling enthusiast may have for it. More importantly, this bag is extremely functional without compromising on style which is a rare find on the photo bag market these days. 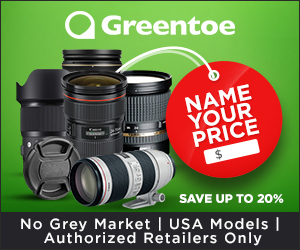 Keep reading to view the camera bag unboxing video and find out all the practical features making the Nadine Photo Gear Bag a must-have for ladies with cameras. 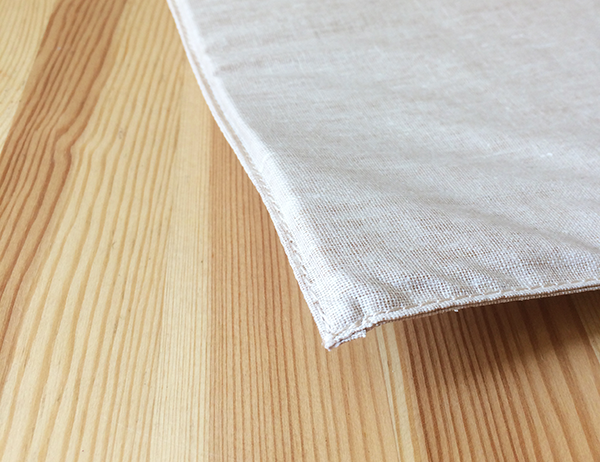 Aide de Camp was kind enough to provide a bag for this review – thanks guys! The article also includes affiliate links to ADC (only happens when we’re 100% confident about the quality of the product). Here’s a small confession. I have a thing for packaging. Well, who doesn’t though? Taking roots in our childhood, the thrill of unwrapping a box was skillfully used and brought to a totally new level by one fruit-and-computers-loving gentleman. 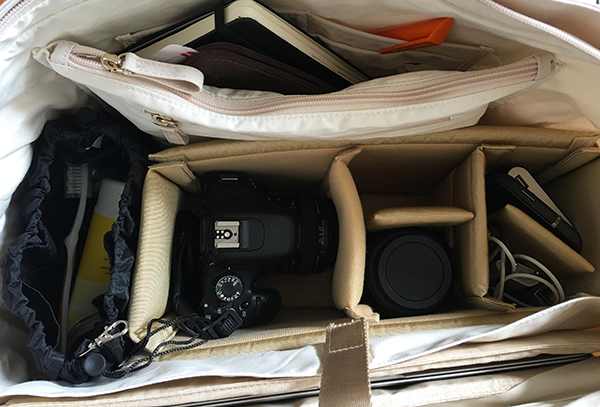 Watch this 30-second video of unboxing the ADC photo camera travel tote to get an idea of both packaging and design of the bag at a glance. Indeed, one’s experience with a product starts from opening the box. 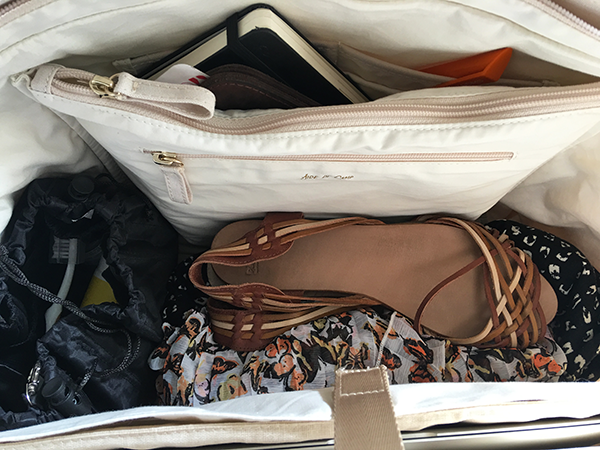 And I really liked how it started with my Nadine travel tote. 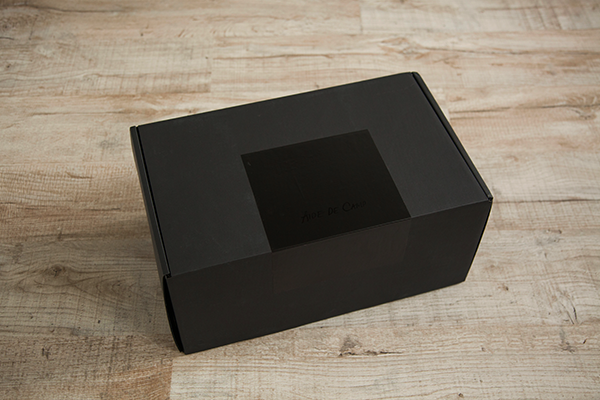 ADC has put the bag in a branded black box which keeps it well-protected and adds up to the product discovery experience. The bag was well-wrapped in a tissue paper and there was also a stylish envelope inside the box with a personal hand-written thank you note for me (gosh, that’s sweet!). The product information tag is done in the same elegant style – the attention to detail I’m always hooked by. What I saw after unboxing the product was a roomy tote which looked simple yet elegant. Besides, the number of pockets made my inner organizationalist do a happy dance. 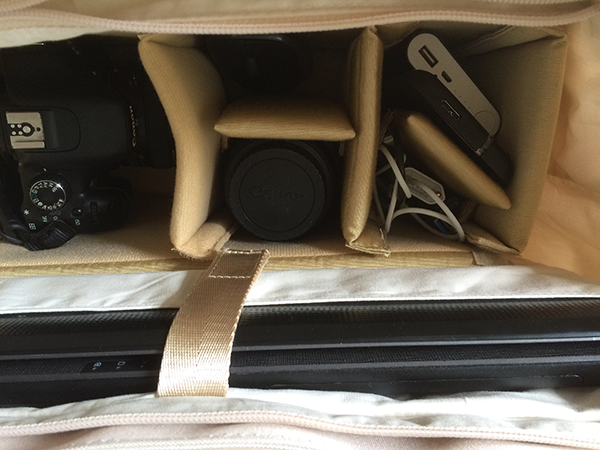 While I’m not a pro photographer, I do carry pretty much of gear when travelling. 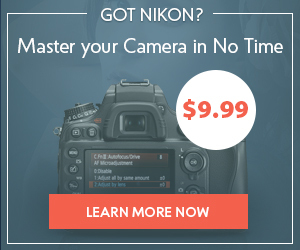 That includes a DSLR with two lenses, my laptop, an iPad, and of course, a smartphone. 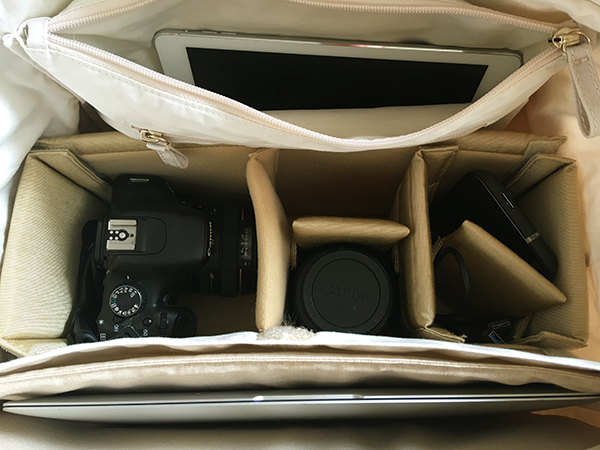 The camera padding insert has adjustable velcro dividers so you can reassemble it to organize your devices or daily essentials the best way. 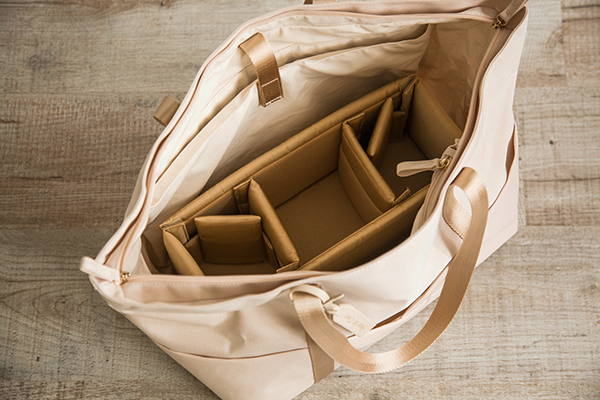 If you’re like me, you’ll love the plenty of compartments offered in this tote. Seriously, from memory cards to different-size devices and quick-access things like boarding passes, I’m able to securely place all of that and more within zipped and non-zipped compartments of my bag, and have a few more empty ones left for purchases and shifting stuff on the go. 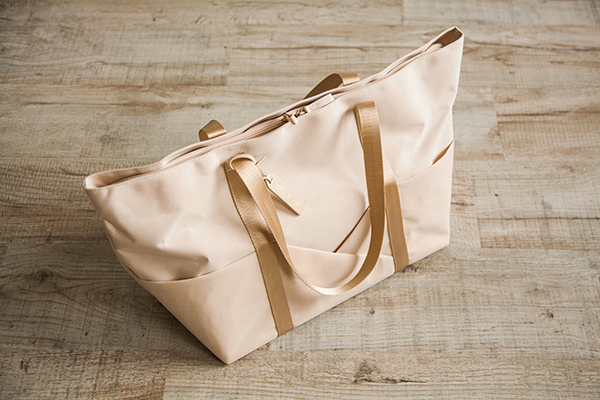 The Nadine travel tote is made of top-tier European canvas. 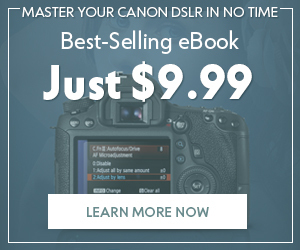 It’s rather light – 2,5 lbs and 1,8 lbs if the camera insert is out. The exterior material is water-resistant – along with small weight, these are some indispensable qualities for a modern gear case. 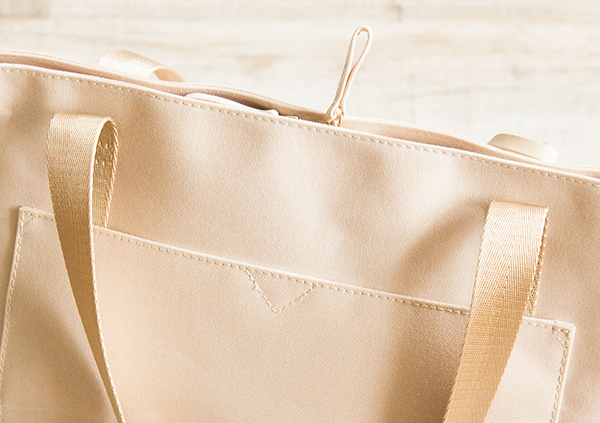 The bag looks and feels solid and well-crafted, both inside and out. The materials look easily washable but to be honest, I would like to see a bag care instruction attached to it. Maybe it’s just me, but I prefer to always check the maintenance recommendations, even if supposed care seems obvious, just to make sure my guesses are correct. 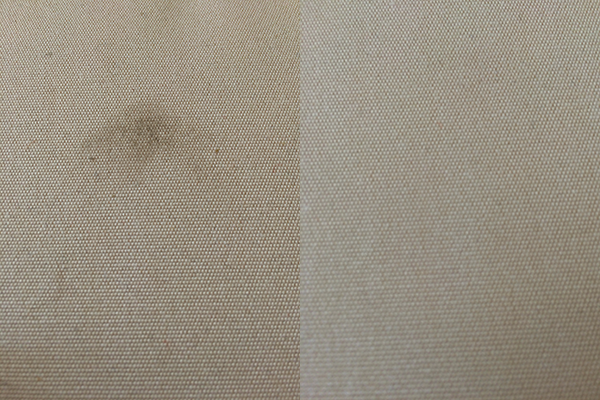 Anyway, I went ahead and put the Nadine’s “washability” to test. I put a small blemish on the tote’s bottom and to my pleasure, it came out easily in a cold-water sponge wash.
Just as any other ADC bag model, the Nadine Photo Camera Bag features the brand’s signature combination of function and style. I think ADC did a pretty impressive job creating a universal, multi-purpose design. For instance, the Nadine is done in a classic tote form, but it doesn’t look dull like every other travel tote you can spot in shops and airports out there. 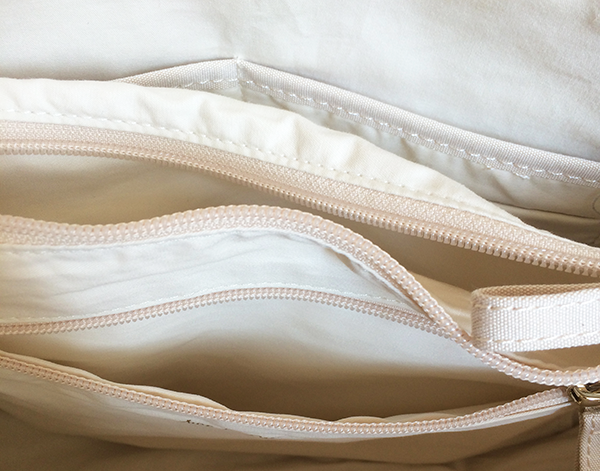 Regarding the latter, I really love the ivory / cream color of my Nadine tote. It works equally well for business and casual outfits and it definitely adds up style to this photography bag. 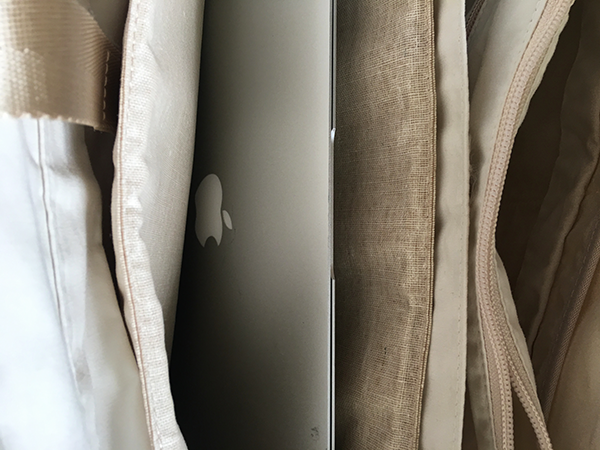 The only downside of this color option is that light-colored bags usually get dirty looking very quickly, especially if it’s used for travelling. However, as I mentioned earlier the exterior material is pretty easy to wash so by doing a light sponge cleaning each time you’re back home you’d be able to maintain it in good condition pretty long. If you’re a mom you’ll love the fact the laptop padding can be also used as a diaper changing mat. It’s not very large (17,9” by 14,7”), still I’m sure most mommies will appreciate this handy helper coming by default in a travel tote. Some alternative functions of this padding I can think of are using it as a lawn sitting mat or even a small pillow. 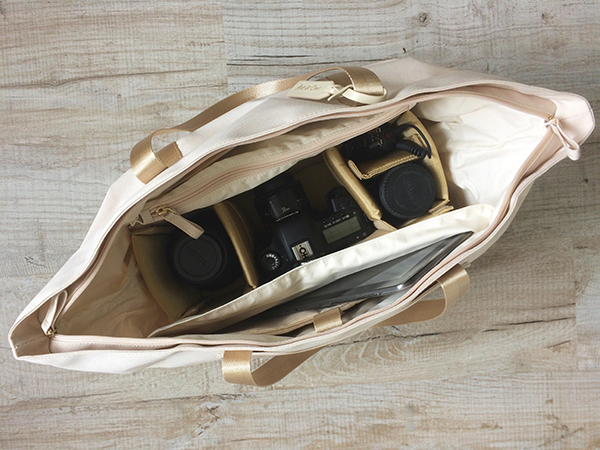 The Nadine Camera Tote is designed for travelling. 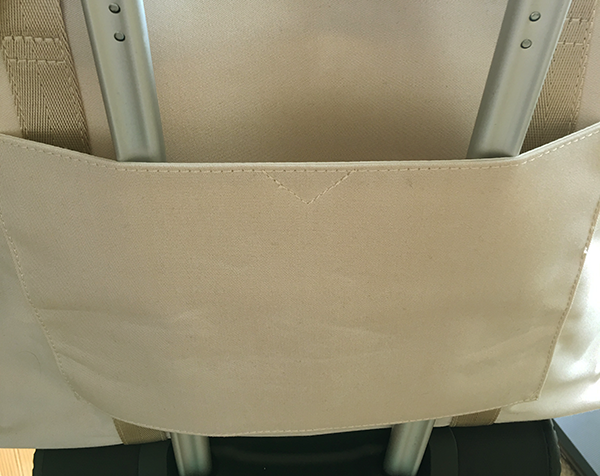 The handy trolley sleeve for firm luggage placement is another proof of that. 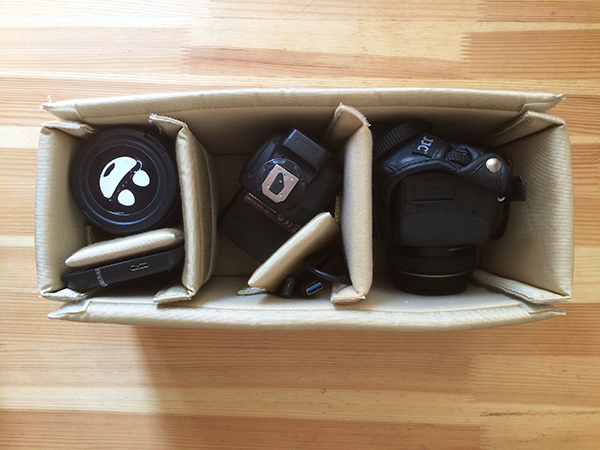 Another feature of the Nadine tote worth separate mention is its removable camera insert box. I really love the hook-and-loop splitters that enable custom organization of your items within the box. Alright, now that we took a look at the ADC Nadine’s main features, let’s finally put some gear in this thing! Frankly speaking, I’ve never been a fan of tote bags usually preferring messengers and backpacks for travelling. 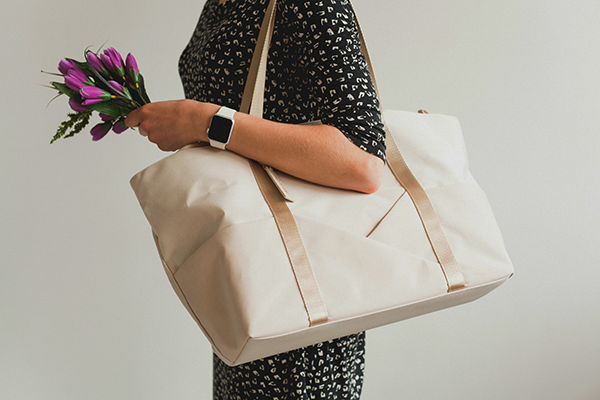 But with the Nadine travel tote… I’m sold. Really. Creme color option would require more efforts to maintain the good look. Some bottom studs and maybe a soft cover to put the bag in the hand luggage section might reinforce the travel-readiness of the tote in Creme. I’d suggest including a care recommendation note to exclude guesswork and early damage. It’s practical, beautiful, spacious, and fits many purposes and situations both a working photographer and travelling enthusiast may face. 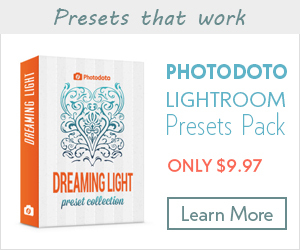 Magic combo for less than $200, isn’t it? 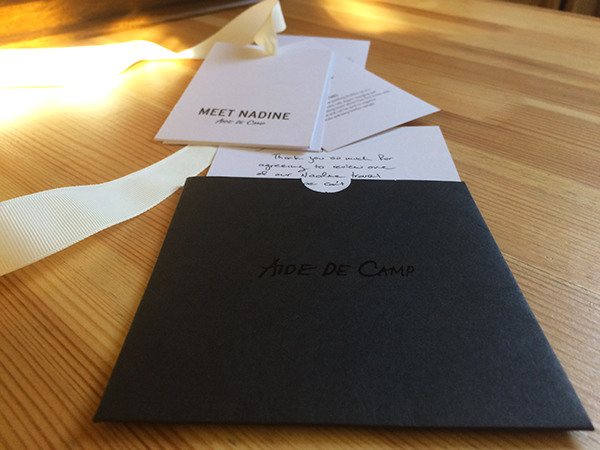 You can find out more info about the Nadine from Aide de Camp, or go pick up your beautiful Nadine photo travel bag at B&H Photo Video.